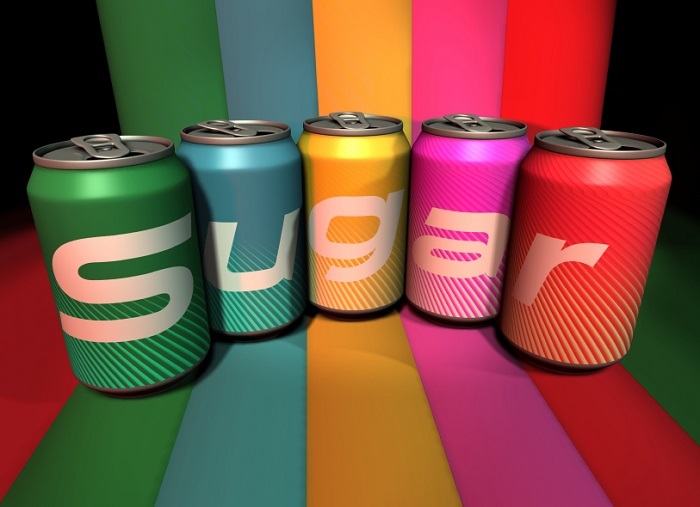 Study shows that regular consumption of sugary drinks linked to type 2 diabetes. Artificially sweetened beverages have been seen as possible alternatives to sugar-sweetened beverages to reduce intake of sugars and energy, and fruit juice has been considered a healthier alternative. However, evidence was not available to clarify whether or not consumption of each of sugar-sweetened beverages, artificially sweetened beverages, and fruit juice is associated with risk of diabetes after taking account of obesity status. Now, a new study from an international team of researchers led by Cambridge University Regular has shown that regular consumption of sugar-sweetened drinks is positively associated with type 2 diabetes independent of obesity status. The opensource study is published in the journal The BMJ. The current study set out to assess whether or not habitual consumption of sugar-sweetened drinks, artificially sweetened drinks, or fruit juice was associated with the incidence of type 2 diabetes, and to estimate the 10-year risk attributable to sugar sweetened drinks in the USA and UK. The researchers analysed the results of 17 observational studies. The data findings showed that habitual consumption of sugar-sweetened drinks was positively associated with incidence of type 2 diabetes, independently of obesity status. The results also showed that the association between artificially sweetened drinks or fruit juice and type 2 diabetes incidence was less evident. Yet, the researchers state that they found little evidence for benefits of these beverages, and therefore concluded these drinks are unlikely to be healthy alternatives to sugar sweetened drinks for preventing type 2 diabetes. The team stress that the studies analysed were observational, so no definitive conclusions can be drawn about cause and effect. However, they go on to add that assuming a causal association, it can be estimated that two million new-onset type 2 diabetes events in the USA and 80,000 in the UK from 2010 to 2020 would be related to consumption of sugar sweetened beverages. The researchers concluded that although more research on cause and effect needs to be carried out, the findings of their study indicate that potential health gains may be achieved by reducing the consumption of sugar sweetened drinks. Frankly, these findings do not prove a direct link between sugary drinks and type 2 diabetes, as this research does not represent clinical trials. With that said, our industry is doing its part to contribute to meaningful solutions to public health challenges. For example, our member companies launched the Balance Calories Initiative with the goal of reducing beverage calories in the America diet by 20 percent by 2025. We are also helping people manage their calorie and sugar intake by providing a wide range of beverage options, a variety of package sizes and clear, easy-to-read information to help them make the choice that’s right for them. In sum, overall diet and activity matters when it comes to preventing and mitigating health issues – and our industry is working to help promote this message.